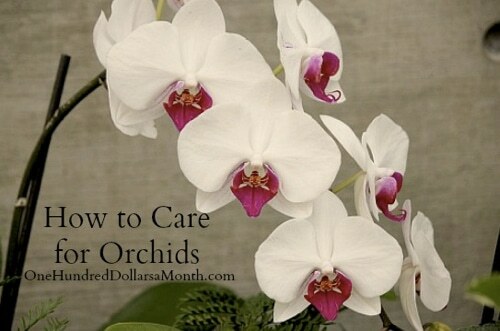 Who would think that caring for orchids can be boiled down to just a few simple rules. Mavis Butterfield over at One Hundred Dollars A Month shares her knowledge of caring for orchids and does it in a witty and entertaining way. Mavis and her website have been featured on various shows like CNN Living, Fox, msn, and NBC. She also shares on her website how she reduced her families grocery bill from over $800 a month to $100 dollars a month.